A durable Power of Attorney document is an excellent planning device for almost everyone. It is particularly useful for individuals who are concerned about their physical and mental health and well-being, now and in the future. Without a power of attorney, there is nobody that is automatically granted the authority to make decisions on your behalf. A spouse cannot make decisions on behalf of the other spouse, a parent cannot make decisions on behalf of his or her adult children, and a child cannot make decisions on behalf of his or her elderly parents. Should you become incapacitated in the future, a power of attorney avoids the need for those persons who care about you to institute the guardianship proceeding, saving you thousands and thousands of dollars in unnecessary guardianship expenses should you become incapacitated. This is because a Power of Attorney document appoints who your legal representative is and what authority he or she will have to make decisions concerning your financial, personal, medical and quality of life. It is often a person’s most important legal document. If you already have a power of attorney, there are some considerations you must take into account to ensure your document is valid and continues to reflect your wishes should something happen to you. The first thing you should check is the date you signed this document. If the document is more than 10 years old, banks in New Jersey are not required to accept it. We recommend that your general durable power of attorney be updated or reviewed every 5 or so years, or whenever there is a major change in your life circumstances (i.e. divorce, death, relocation, etc.) You should also ensure that your named attorney(s)-in-fact and any successors have current addresses on the form, and update it if not. There are also some specific provisions that we recommend putting into a power of attorney document. First off, it should contain a clause granting your attorney(s)-in-fact the power to engage in Medicaid and estate tax planning and/or gifting. Many persons what the ability to engage in asset protection planning to shelter assets from the cost of nursing home care and death taxes. It also should contain a clause referencing the Health Insurance Portability and Accountability Act (“HIPAA”) to avoid any inability of a health care representative to received Medicaid information in the event of a medical emergency. The HIPAA privacy rules have created a new category of private information called “Protected Health Information” (PHI) or “Protected Medical Information” (PMI). In order to avoid any issues about the persons to whom your health care provider may divulge your PHI, you should specifically state who has the right to receive your PHI. If you have questions about Power of Attorneys, conservatorship, trusts or elder law in New Jersey, contact Fredrick P. Niemann, Esq. toll-free at 855-376-5291 or e-mail him at fniemann@hnlawfirm.com . Set up an office consultation at your convenience. He is easy to talk to and will answer your questions in plain, simple English. In the discussion that follows, the major highlights and benefits of a Durable Power of Attorney (DPA) or (POA) are explained from an experienced Power of Attorney lawyer in New Jersey. The discussion is not intended to be exhaustive, and legal counseling may be necessary for persons interested in signing such a document. Why? Because a Power of Attorney is a powerful legal tool! Speak to Fredrick P. Niemann, Esq., a NJ power of attorney lawyer, on how using a durable power of attorney and health care directive can protect your estate, assets and income and personal welfare. He can be reached toll-free at (855) 376-5291 or by email at fniemann@hnlawfirm.com. Why Do You Need a Power of Attorney in New Jersey? A POA is often a person’s most important legal document. It avoids the need for a guardianship proceeding in Court and the state’s intrusion in your life. A Power of Attorney can save you nearly $7,000 of unnecessary guardianship expenses should you become incapacitated. You get to choose your legal representative as your Power of Attorney to make decisions in your best interests, not a judge. A well written Power of Attorney addresses those financial, personal, medical and quality of life decisions and authority you want your representative to have. Did you know that in NJ, a spouse has no legal authority to make decisions for their spouse if they become sick or injured without a Power of Attorney? Did you know that a parent or adult child has no legal decision making authority over their adult children or aging parent without a Power of Attorney? Is your General Durable Power of Attorney more than 10 years old? If so, banks in New Jersey are not required to accept it. We recommend that your General Durable power of Attorney and Living Will be updated or reviewed every 5 or so years. Does your General Durable Power of Attorney continue to name the appropriate representative for you? You are allowed to name one or more attorney(s)-in-fact to act in your place with reference to your financial matters in the event that you are unable to do so. You should verify that your named attorney(s)-in-fact and any successors have current addresses. Does your General Durable Power of Attorney allow for Medicaid and estate tax planning or gifting? Many persons want the ability to engage in asset protection planning to shelter assets from the cost of nursing home care and death taxes. Your General Durable Power of Attorney should specifically grant your attorney(s)-in-fact the power to engage in this type of planning. 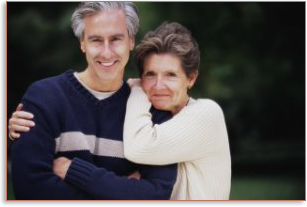 We are recommending to all or our clients that they update their General Durable Power of Attorney if it does not specifically authorize this type of asset and income protection planning in the future. Does your Health Care Power of Attorney reference the Health Insurance Portability and Accountability Act (“HIPAA”)? The HIPAA privacy rules have created a new category of private information called “Protected Health Information” (PHI) or “Protected Medical Information” (PMI). In order to avoid any issues about the persons to whom your health care provider may divulge your PHI, you should specifically state who has the right to receive your PHI. We are recommending to all of our clients that they update their Health Care Powers of Attorney to include a HIPAA provision to avoid any inability of a Health Care Representative to receive information in the event of medical emergency. My son is an attorney in New Jersey. I am retired and live in Ocean County, New Jersey about 45 minutes away from my son. I needed a lawyer to look at my estate planning documents including Will, Power of Attorney and Health Care Directive. My son recommended Hanlon Niemann in Freehold, New Jersey, specifically Fredrick P. Niemann. I took his advice and met with Mr. Niemann. I am glad that I did. He is a warm and engaging person. No pretense, no airs about him. I immediately felt at ease and we talked about everything that I wanted to do and accomplish with my estate planning. I felt I could open up to him and tell him what was really important to me. He prepared the documents as we discussed and sent them to me in advance to review and approve. Then he scheduled me for a signature session where my appointment was promptly kept and a friendly, positive staff witnessed all of my documents. My son, the attorney, gave me good advice when he recommended Mr. Niemann.